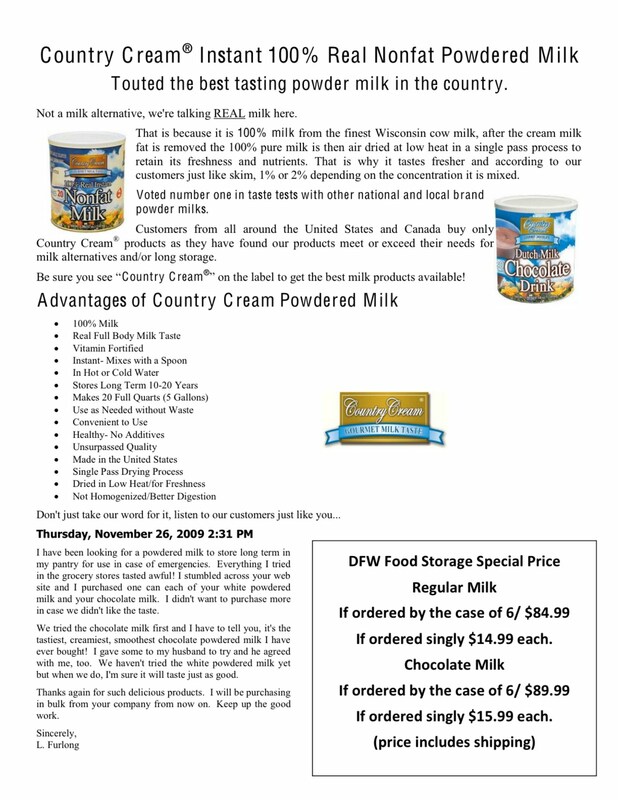 May is milk month for DFW Food Storage. 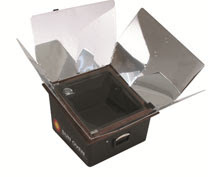 We are able to keep the price at last years prices (which is a miracle in and of itself). 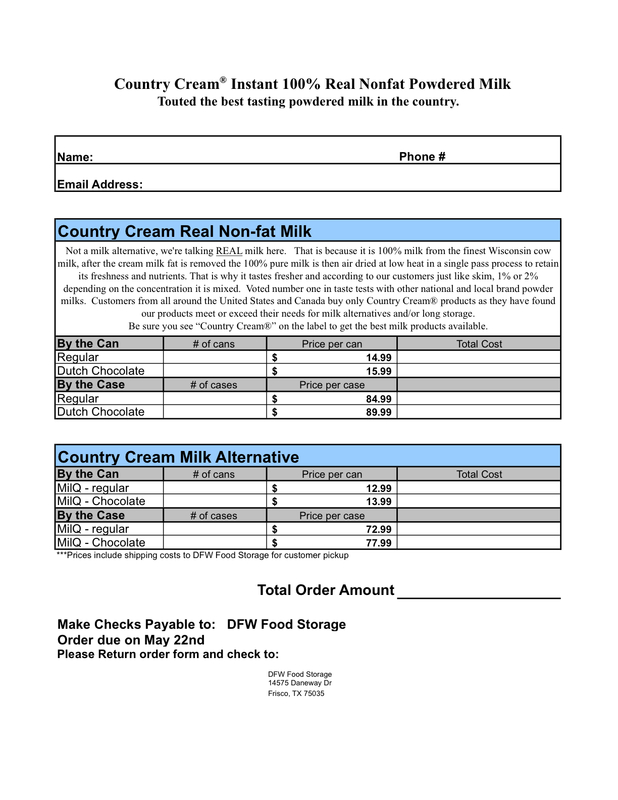 In addition Country Cream introduces Country Cream Milk milk alternative. 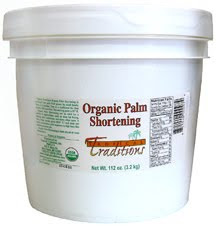 We are offering this for those who would like something a bit cheaper, but the same great taste. 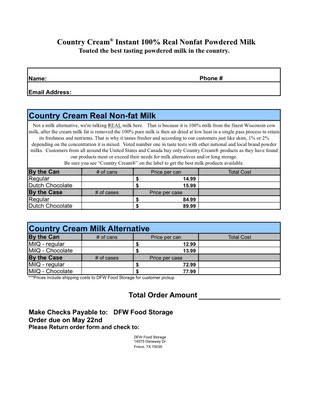 I have attached the order form and a flier about Country Cream Milk - touted as the best tasting powdered milk in the country. In addition I have put some great articles on our message board. For some tips on using powdered milk in recipes go here. For an article on making homemade yogurt from powdered milk go here. 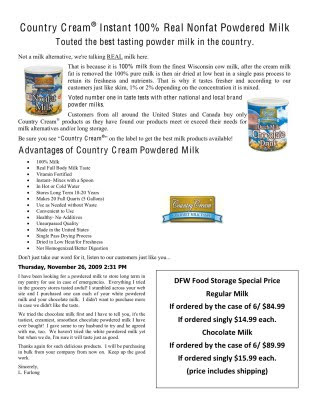 And for an article on making cottage cheese from powdered milk go here. "Remember better 10 years too early, than 1 day too late"